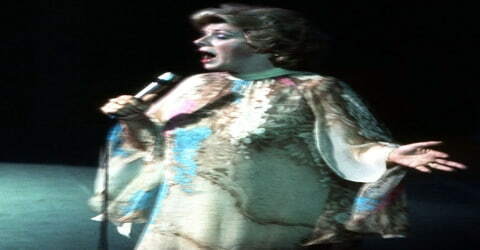 Rosemary Clooney – American singer and actress. 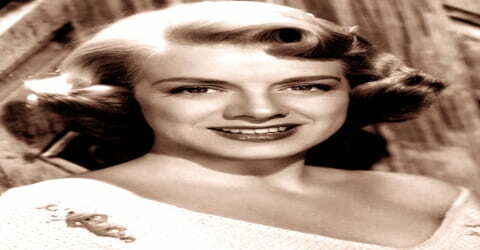 An American singer whose rich voice, uncomplicated style, and impeccable timing made her a leading pop and jazz singer, Rosemary Clooney was born on May 23, 1928, in Maysville, Kentucky, the U.S. the daughter of Marie Frances (née Guilfoyle) and Andrew Joseph Clooney. She rose to prominence when Columbia Records issued “Come On-a My House,” her first single to sell a million copies. She also starred in one of the most beloved holiday movies, White Christmas, with Bing Crosby in 1954. The pressures of fame, however, led to drug addiction and mental breakdown during the 1960s. Like many of her peers in the so-called “girl singer” movement Doris Day, Kay Starr, Peggy Lee, Patti Page, et al. Clooney’s style was grounded in jazz, particularly big-band swing. She wasn’t an improviser or a technical virtuoso and lacked the training to stand on an equal footing with the greatest true jazz singers. However, she sang with an effortless, spirited swing, and was everything else a great pop singer of her era should have been. Her phrasing and diction were flawless, and her voice was warm, smooth, and relaxed; moreover, she was a sensitive and emotionally committed interpreter of lyrics. The famous Hollywood actor George Clooney is her nephew. The singer started her singing career with Betty Clooney, her sister as a duo in bands and on the radio before she decided to go solo. She had several other hit numbers to her credit such as ‘This Ole House’, ‘Hey There’, ‘Half as Much’, ‘Tenderly’, “Mambo Italiano’ and ‘Botch-a-Me’ to name a few. Though she was a success as a Jazz vocalist her career was doomed in the Sixties due to problems like her drug addiction and severe depression. But during the seventies, when Bing Crosby, one of her former co-stars, asked her to perform with him at a show that marked his fiftieth anniversary in the show business, her career got the much-needed boost. When Betty, Rosemary’s sister died at the age of 45 due to a brain aneurysm, she organized a memorial for her departed sister in association with the Betty Clooney Center at Long Beach in California for all those young adults who are brain-injured. She performed there every year so that she could raise funds for the foundation. 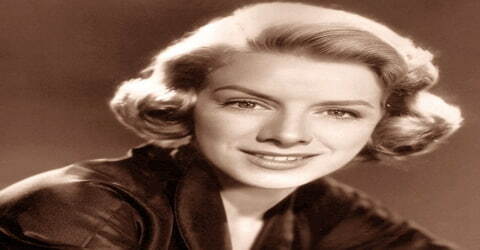 Rosemary Clooney was born in Maysville, Kentucky, the U.S. on 23rd May 1928 to Andrew Joseph Clooney and Marie Frances. She was one of five children. Her father was of Irish and German descent and her mother was of Irish ancestry. Rosemary was raised Catholic. The young Clooney, Rosemary, Betty, and Nicky, lived with various relatives. “I don’t remember all of us living together under the same roof for more than a few weeks at a time,” recalled Clooney in her book, Girl Singer: An Autobiography. “Sometimes I was with an uncle or an aunt, sometimes at Grandma Guilfoyle’s, sometimes with my Clooney grandparents.” Because of the turmoil, Clooney learned to fend for herself and look after her younger siblings. Rosemary was only three when she performed for the first time on ‘When Your Hair Has Turned to Silver’ at the ‘Russell Theater’. She was raised a Catholic and attended her high school at ‘Our Lady of Mercy’ in Cincinnati. When Clooney was 15, her mother and brother Nick moved to California. She and her sister Betty remained with their father. The family resided in the John Brett Richeson House in the late 1940s. In 1945, the Clooney sisters won a spot on Cincinnati, Ohio’s radio station WLW as singers. Her sister Betty sang in a duo with Rosemary for much of the latter’s early career. Rosemary Clooney married twice to Jose Ferrar a movie star who was 16 years older to her. Clooney’s first married him on 1st June 1953 in Durant, Oklahoma and the couple had five children from their marriage. Rosemary remarried Ferrer on November 22, 1964, in Los Angeles. However, the marriage again crumbled while Ferrer was carrying on an affair with the woman who would become his last wife, Stella Magee. The couple divorced again after she found out about the affair, this time in 1967. In 1997, Rosemary married her longtime friend Dante Di Paolo, a dancer, at St. Patrick’s Church in Maysville, Kentucky, whom she had worked within two of her films and remained married to him till her death. Her personal life was greatly improved after this marriage. When Rosemary got married to her second husband Dante Di Paolo, George Clooney, one of the famous Hollywood actors and her nephew did not attend it as he did not want to shift the spotlight from her aunt on the latter’s special day. 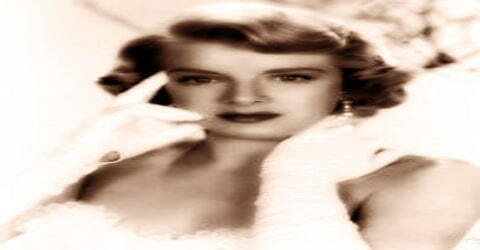 In 1999, Rosemary Clooney published her second autobiography, Girl Singer: An Autobiography, describing her battles with addiction to prescription drugs for depression, and how she lost and then regained a fortune. “I’d call myself a sweet singer with a big band sensibility,” she wrote. In 1945, while living with their grandfather in Cincinnati, Ohio, Rosemary Clooney and her younger sister, Betty, began singing duets on the radio. The Clooney Sisters, as they became known, soon caught the attention of the saxophonist and bandleader Tony Pastor, and the sisters toured with his band for several years. In 1946, Rosemary cut her first solo record, “I’m Sorry I Didn’t Say I’m Sorry (When I Made You Cry Last Night),” but didn’t begin to work as a solo artist until 1948 when Betty decided to stop touring with Pastor and return to Cincinnati. In 1949, the budding singer went to New York to start her solo career after Betty retired from singing. Two years down the line, after Rosemary signed a contract with ‘Columbia Records’, Rosemary tasted her first major success with the Number 1 hit, ‘Come On-a My House’. Soon she had other major hits such as ‘Tenderly’, ‘The Ole House’ and ‘Hey There’ that further established her reputation as a singer. In 1950–51, Rosemary was a regular on the radio and television versions of “Songs For Sale” on CBS. In 1951, her record of “Come On-a My House”, produced by Mitch Miller, became a hit. It was her first of many singles to hit the charts despite the fact that Clooney hated the song passionately. She had been told by Columbia Records to record the song, and that she would be in violation of her contract if she did not do so. Clooney recorded several duets with Marlene Dietrich and appeared in the early 1950s on Faye Emerson’s Wonderful Town series on CBS. Clooney also did several guest appearances on the Arthur Godfrey radio show, when it was sponsored by Lipton Tea. They did duets as he played his ukulele, and other times she would sing one of her latest hits. Over the next few years, Rosemary alternated between hot big-band swing and the light novelty fare Miller insisted upon, though she much preferred the former. She was wildly popular in the years leading up to rock & roll, scoring hit after hit: the chart-toppers “Half as Much,” “Hey There,” and “This Ole House”; the Italian-style tunes “Botch-a-Me (Ba-Ba-Baciani Piccina)” and “Mambo Italiano”; and several other cornerstones of her repertoire, including “Tenderly” and “If Teardrops Were Pennies.” In addition, she recorded with the likes of Harry James, Marlene Dietrich (including the hit “Too Old to Cut the Mustard”), Gene Autry (“The Night Before Christmas Song”), Guy Mitchell, George Morgan, and actor José Ferrer, whom she married in 1953 after an abrupt courtship. Rosemary made her appearances in some feature films too around this time such as ‘White Christmas’ in 1954 and ‘The Stars Are Singing’ with Bing Crosby. 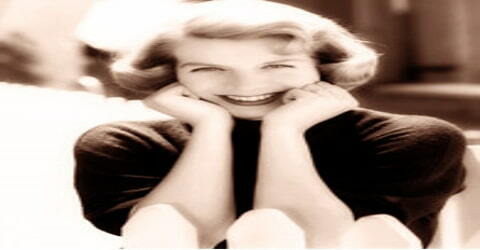 She also had a self-titled television show in the late Fifties called ‘The Rosemary Clooney Show’. The popular singer’s career took a downturn in the late sixties due to her personal problems that included a broken marriage from Jose Ferrar, a failed love affair and the assassination of Robert F. Kennedy who was one of her close friends. She also abused sleeping pills and tranquilizers during this time. Rosemary Clooney starred, in 1956, in a half-hour syndicated television musical-variety show The Rosemary Clooney Show. The show featured The Hi-Lo’s singing group and Nelson Riddle’s orchestra. The following year, the show moved to NBC prime time as The Lux Show Starring Rosemary Clooney, but only lasted one season. The new show featured the singing group The Modernaires and Frank DeVol’s orchestra. In later years, Clooney often appeared with Bing Crosby on television, such as in 1957 special The Edsel Show, and the two friends made a concert tour of Ireland together. On November 21, 1957, she appeared on NBC’s The Ford Show, Starring Tennessee Ernie Ford, a frequent entry in the “Top 20” and featuring a musical group called “The Top Twenty”. In 1960, Clooney and Crosby co-starred in a 20-minute CBS radio program aired before the midday news each weekday. Rosemary Clooney had a mental collapse and took years to recover from her trauma but managed to rebuild her singing career slowly as she started out singing in small lounges and clubs. She joined her former co-star Bing Crosby in the mid-seventies on his finale tour that was a big boost for her comeback and later managed to sign a recording contract with ‘Concord Jazz’ label. Rosemary also continued to record, though with diminishing success thanks to the advent of rock & roll. Still, her repertoire was growing more mature, as she recorded with Duke Ellington (the 1956 album Blue Rose) and Benny Goodman, and also tried her hand at country standards and Broadway show tunes. Her final Top Ten hit was 1957’s “Mangos,” and the following year, she parted ways with Columbia and moved over to RCA, where she debuted with the well-received Bing Crosby collaboration Fancy Meeting You Here. She went on to record for MCA, Reprise, Coral, and Capitol during the ’60s as well. For much of the 1960s, Rosemary Clooney was plagued by relationship, money, and drug problems. She and Ferrer divorced in 1961, remarried the same year, and divorced again for good in 1967. She also had an on-again/off-again relationship with Nelson Riddle. Clooney became interested in politics in 1960 and made appearances for Democratic candidate John F. Kennedy. She continued to record for Coral, MGM, and RCA, but her classic style, like Sinatra’s and Crosby’s, became less popular following the advent of rock-n-roll. Clooney’s personal life was also complicated by her addiction to sleeping pills. In 1968 Rosemary had a nervous breakdown. She had continued to work in Democratic politics and had befriended Robert F. Kennedy. She worked with his campaign during the Democratic primary during the summer and was in attendance at the Ambassador Hotel following the California primary. Clooney had also brought two of her children, and they were standing only a few yards from Kennedy when he was shot and killed by Sirhan Sirhan. From that point, her life spiraled quickly into chaos. In Reno for a show, Clooney announced her retirement at an impromptu news conference, then broke down during a show, berating the audience. She later admitted herself to the psychiatric ward at Mt. Sinai Hospital in Los Angeles and entered therapy. Upon her recovery from a nervous breakdown in 1968, Clooney signed with United Artists Records in 1976 for two albums. Beginning in 1977, she recorded an album a year for the Concord Jazz record label, which continued until her death. This was in contrast to most of her generation of singers, who had long since stopped recording regularly by then. In the late 1970s and early 1980s, Clooney did television commercials for Coronet brand paper towels, during which she sang a memorable jingle that goes, “Extra value is what you get when you buy Coronet.” In the early 1980s, Jim Belushi parodied Clooney and the commercial on NBC’s Saturday Night Live. Clooney sang a duet with Wild Man Fischer on “It’s a Hard Business” in 1986, and in 1994 she sang a duet of Green Eyes with Barry Manilow in his 1994 album, Singin’ with the Big Bands. During the ’90s, Rosemary Clooney enjoyed a resurgence in popularity thanks to the swing revival that revitalized the careers of veterans like Tony Bennett. While she never considered herself a true jazz singer, her ’90s dates sold extremely well among jazz audiences, and her position among the great American pop vocalists was solidified. Additionally, Clooney made several appearances as an Alzheimer’s patient on the TV medical drama ER, which co-starred her nephew George Clooney. 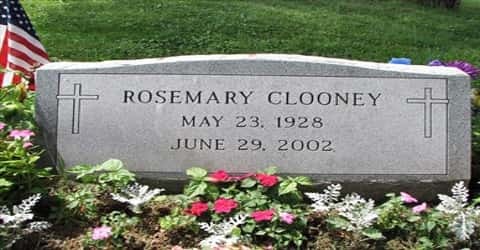 In 1995, Rosemary Clooney guest-starred in the NBC television medical drama ER (starring her nephew, George Clooney); for her performance, she received a Primetime Emmy Award nomination for Outstanding Guest Actress in a Drama Series. On January 27, 1996, Clooney appeared on Garrison Keillor’s Prairie Home Companion radio program. She sang “When October Goes” lyrics by Johnny Mercer and music by Barry Manilow (after Mercer’s death) from Manilow’s 1984 album 2:00 AM Paradise Cafe, and discussed the excellence of Manilow the musician. A long-time smoker, Clooney was diagnosed with lung cancer at the end of 2001. Around this time, she gave one of her last concerts in Hawaii, backed by the Honolulu Symphony Pops; her last song was “God Bless America”. Her final show was at Red Bank New Jersey’s Count Basie Theater in December 2001. 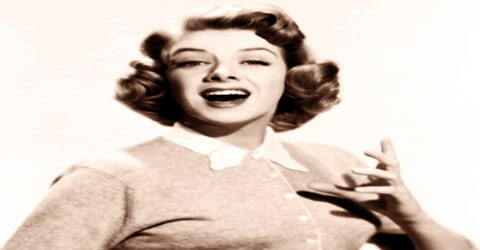 In 2002 Rosemary Clooney was honored with her first Grammy Award, for lifetime achievement. Clooney received several honors throughout her long and illustrious singing career that included a nomination in Emmy for a guest appearance on NBC’s ‘ER’. In 2003, Rosemary Clooney was inducted into the Kentucky Women Remembered exhibit and her portrait by Alison Lyne is on permanent display in the Kentucky State Capitol’s rotunda. 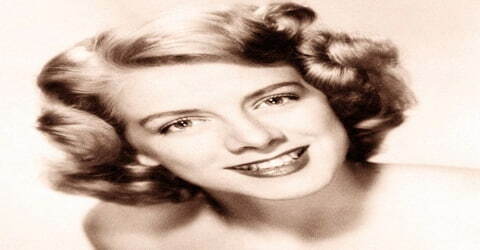 In the initial years, Rosemary Clooney’s career advanced slowly but at the beginning of 1951, she recorded her first hit song “Beautiful Brown Eyes’ that eventually sold around 400,000 copies. Her royalty rates went up from 3% to 5% and she had an assured income of $250,000 for the next 5 years. Clooney’s professional life changed after she sang ‘Come On-a My house’ which was a nonsensical song penned by Ross Bagdasarian and William Sarroyan. Though Rosemary thought the song would fail to do well, yet it was the biggest hit of her career and sold over 1 million copies. Rosemary Clooney lived for many years in Beverly Hills, California, in the house formerly owned by George and Ira Gershwin at 1019 North Roxbury Drive. It was sold to a developer after her death in 2002 and has since been demolished. In 1980, she purchased a second home on Riverside Drive in Augusta, Kentucky, near Maysville, her childhood hometown. Today, the Augusta house offers to a view of collections of her personal items and memorabilia from many of her films and singing performances.